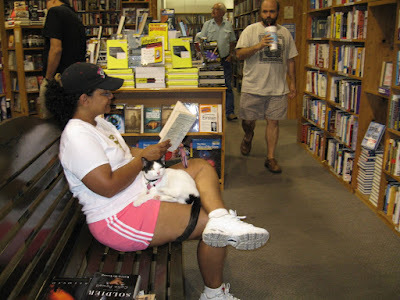 Somedays I like to remember the time I was on vacation and saw a cat in a bookstore. There's a quaint, little antique store with lots of glass breakables in Granbury, Texas. I went on a Girl's Overnight there once and distinctly remember it because the owner had two lithe & agile cats nimbly walking between glass vases and porcelain curios and the owner didn't mind it a bit.